Force Friday - Star Wars Merchandise! I am married to a Star Wars merchandise collector – and so, today’s post for 100 Days of Disney is in celebration of that! Today also happens to be Force Friday, the day that the merchandise is released for the new Star Wars: The Force Awakens movie. Star Wars also holds a Guinness World Records title for the “Most successful film merchandising franchise”, and it’s easy to see why – merchandise is a multi-million dollar industry, and when it’s backed by an epic film series as Star Wars… well, they are onto a winner! I’ve picked out lots of different merchandise that I think would suit every Star Wars fan, of all ages – with clothes, toys, pins, collectibles and interactive robots! There are the new and classic characters: Finn, Rey, BB-8, Captain Phasma, Kylo Ren, as well as Darth Vader, Boba Fett, Yoda, Chewbacca, R2-D2, C-3pO, Luke Skywalker, Princess Leia and Han Solo (with his LEGO Millennium Falcon). 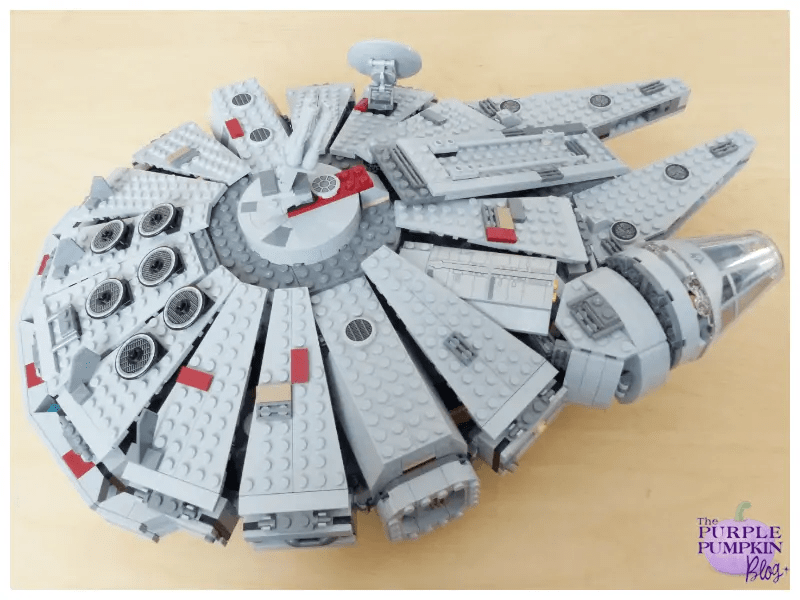 We have the Millennium Falcon LEGO set – it’s pretty awesome! Just click on the image at the top of this post to be taken to my Polyvore board with links to each of the items. Do you have a Star Wars fan in your household? Will you be buying any The Force Awakens merchandise? Thanks for reading Day 52 of 100 Days of Disney 2015! 48 to go! Come back tomorrow for another Disney post! I am already mentally compiling a list for my WDW trip next year but before then I am going to get my hands on some Star Wars Funko Pops! I like your thinking! I love the Funko Pops – they’re so cool! Force Friday was really clever marketing. It has been a perfect way to get everyone excited! Indeed it was – this new film is going to be huge – and a marketer’s dream!